New Delhi : Contradicting what Prime Minister Narendra Modi has been saying on the Narmada issue, former Prime Minister Manmohan Singh on Thursday said that while he was heading the UPA government at the Centre, Modi who was Gujarat Chief Minister never discussed the Narmada issue with him whenever they met. He also said that people of country should demand all the documents related to the NDA government's "disastrous decision" on demonetisation. In a media interaction, when asked that Modi in his speeches always says that he used to bring up issues related to the Narmada project whenever he, as Gujarat Chief Minister met then Prime Minister Singh, but he was "never interested", the senior Congress leader said: "As far as I know, the then Gujarat Chief Minister never discussed issues related to Narmada project with me. I was always available to not only him but to all the Chief Ministers of the state, being the Prime Minister." Speaking about the "drastic steps" like demonetisation by the NDA government, Singh said, "People of Rajkot and Gujarat trusted Prime Minister Narendra Modi and believed in the policy of demonetisation, only in the hope that their sacrifice would benefit the country. Their faith and hopes have been shattered. Modiji has betrayed the trust that Gujaratis had reposed in him." Continuing his criticism of demonetisation, he said, "The present government likes to claim that demonetisation was a bold decision. But there's a difference between bold and disastrous decision. It was Indira Gandhi who took many bold decisions which never hurt. She nationalised our banks. Most importantly it never hurt the poor and the middle class disproportionately." "We must demand the government release all the relevant documents and files related to demonetisation in the public domain for scrutiny. We must avoid repetition of such blunders in future, India cannot afford such mistakes," he said. On the Goods and Services Tax (GST), the former Prime Minister said, "We do not oppose the GST, as the then Gujarat Chief Minister Narendra Modi did. We support the GST but not in its present form. The UPA government's GST form was a much simpler and easy GST." On Rahul Gandhi, he said, "The youthful vigour and ideology of Rahul Gandhi are in front of the public. The people of Gujarat are realising this and under his leadership the Congress party will revive its lost glory." 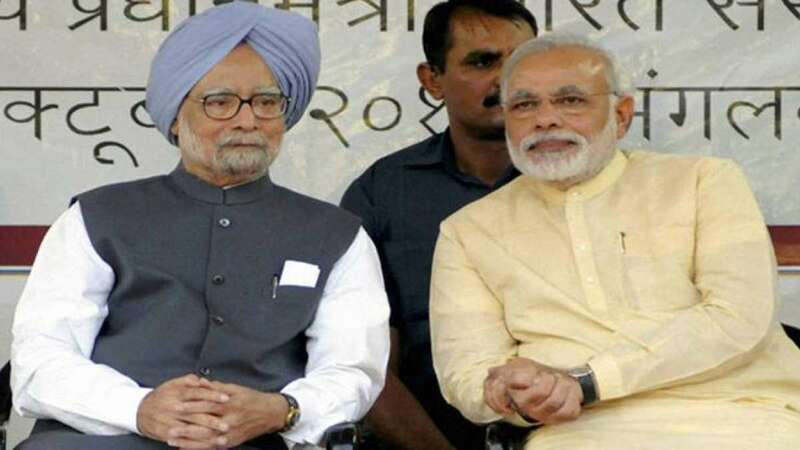 On the foreign policy, Manmohan Sigh said, "We do not want to divide the country in matters related to foreign policy. The role of foreign policy is to strengthen India's economy internally as well as in every other aspect. But there are instances where the Modi government has taken steps which are not in the interest of our country."